Mr. Alexander is the Company’s founder and former Chief Executive Officer, and Executive Chairman. This very capable IT specialist and business executive established tTech in 2006 after an illustrious eighteen-year career with GraceKennedy Limited, where he served as a Director and the company’s Chief Information Officer. 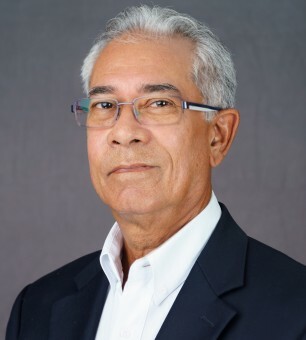 During the 1980’s he worked in the alternative energy field at the Ministry of Mining & Energy and the Petroleum Corporation of Jamaica before switching to the information technology field when he assumed the position of Management Consultant at KPMG Peat Marwick & Partners. In 1988 he joined Grace Unisys as an Account Manager and it was here his passion for IT blossomed. By 1993 he was given responsibility for information technology at GraceKennedy and ushered in an era of innovation during his tenure until he left to form tTech in 2006. Under his leadership tTech steadily developed and in January 2016 tTech became the first Jamaican information technology company to be listed on the Junior Market of the Jamaica Stock Exchange. His vision is to assist companies to improve the effectiveness of their investments in information technology by minimizing the cost of ownership of their infrastructure while maximizing the value from their business applications, ultimately leading to systems which contribute to increased competitiveness and profitability. He holds a Master’s of Science degree from the University of Pennsylvania and a Bachelor of Science degree from the University of Windsor. In addition, he has completed professional courses at the Harvard Business School and the University of Florida. He is a former President of the Jamaica Computer Society and was honoured by the JCS for his outstanding contribution to IT in Jamaica. He currently serves on the board of his alma mater Jamaica College and CAC 2000 Ltd.